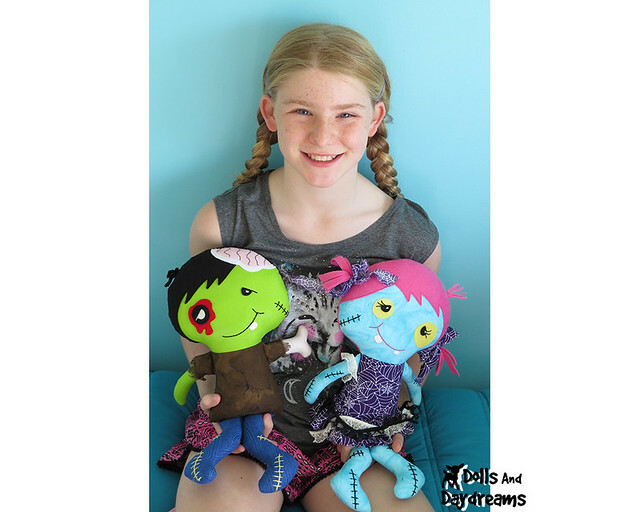 Zombie Doll Sewing Pattern is here! They are here... the Zombies!!!! Run!!!!! 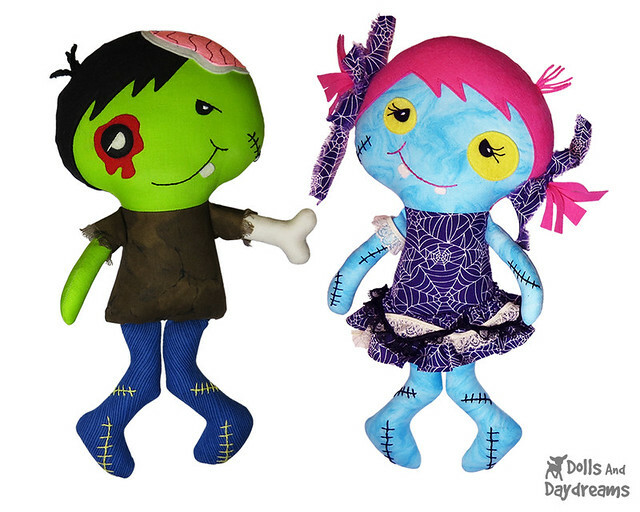 Hahaha I had such fun making my Zombie Sewing Pattern, with their knocked knees and cute faces! Pick & Mix Zombie bits! Bone limbs, oozing eyes, eye sockets, scars, old teeth and ... a brain!!!! Spooooky!!!! 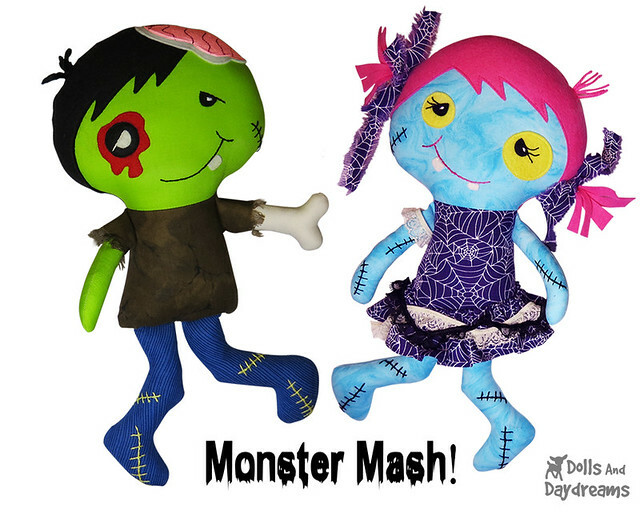 There's a Monster Mash party in the graveyard this Halloween and you're invited! Zombies are dragging their body parts all over town to get there!